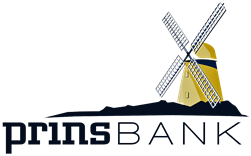 PrinsBank’s Health Savings Account (HSA) is an interest-bearing account designed to give you more control over healthcare expenses—allowing you to save for current and future qualified medical expenses. You will need to have a qualified High Deductible Healthcare Plan to open this tax–exempt account. Consult your tax advisor, employer or insurance provider regarding healthcare plan eligibility and tax advice. To learn more about HSAs, including Frequently Asked Questions, visit the official U.S. Treasury HSA web site at http://www.treasury.gov/resource-center/faqs/Taxes/Pages/Health-Savings-Accounts.aspx.